Charlie was born December 18, 1942 in Fremont to Victor and Lois ‘Bender’ Thomsen. 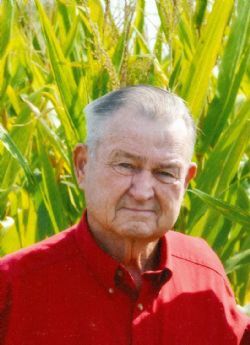 He was raised on the farm in Hooper, graduated from Hooper High School in 1960 and was awarded the State Star Farmer in FFA. He attended the Farm Short Course at UNL. He continued to farm, attended Auctioneer School in Kansas City in 1985, and while farming starting working for Don Peterson Auctioneer before starting his own company. On August 3, 1975 Charlie married Beverly Karsk at the First United Methodist Church in North Bend. Charlie served on the Everett Township Board, Hooper Volunteer Fire Department Board and was a member of the Faith United Methodist Church, serving on the church board. Charlie enjoyed auctioneering, music, dancing and was involved with the Fremont Community Players. Brothers-in-law – Allan Karsk of Portland, OR. Visitation will be Thursday, March 21, at the Hooper Funeral Chapel from 3pm to 8pm with the family present from 6pm to 8pm. There will be a private committal. A service will be 10:30am Monday, March 25, at Faith Methodist Church in Hooper for all Charlie’s friends. The family appreciates memorials directed to the Fremont Area Alzheimer’s Collaboration (1005 E. 23rd St., Suite 2, Fremont, NE. 68025), Camp Fontanelle, Logan View FFA and Faith Methodist Church in Hooper.